Gather round, bacon lovers. 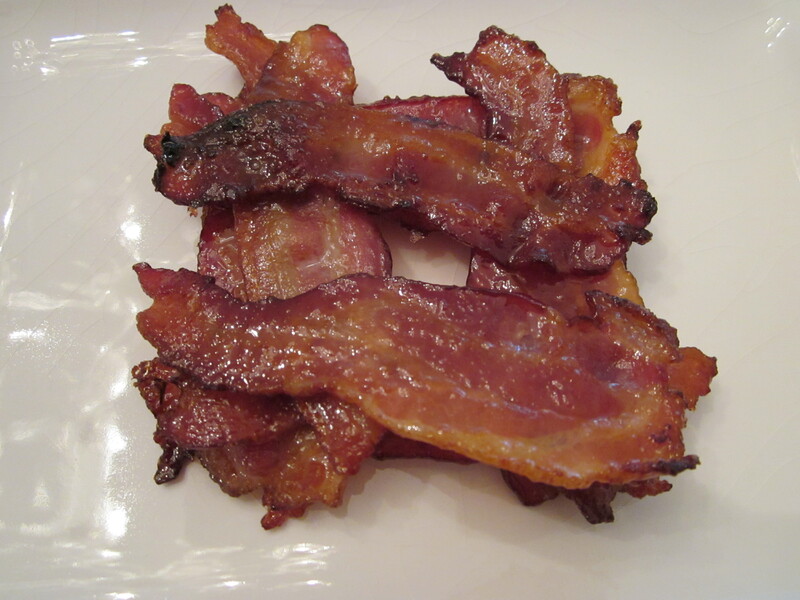 One of my dearest friends from the ATL e-mailed me about my sugar bacon recipe. This unbelievably delicious treat has been off my radar for awhile. It is so good I actually requested it as a passed hors d’oeuvres at my wedding. I made a batch today and practically fell over while eating (the entire plate I might add– by myself) because it is so good. Let me know if you think it is as delicious as I do. Cut bacon slices in half. Scoop about 3/4 c. of brown sugar into a wide, flat dish. 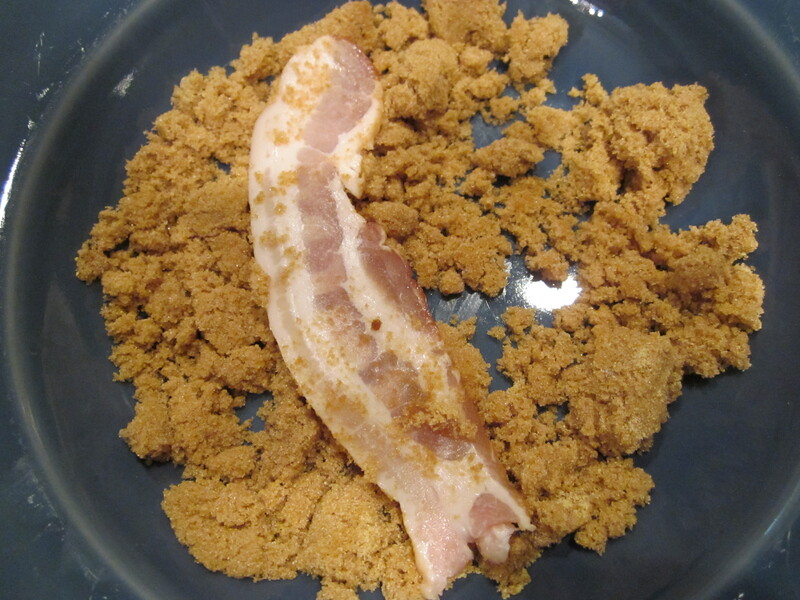 Add a few dashes of dried mustard if using and mix with a fork, so the brown sugar is separated. Line your baking pan with some sort of liner. 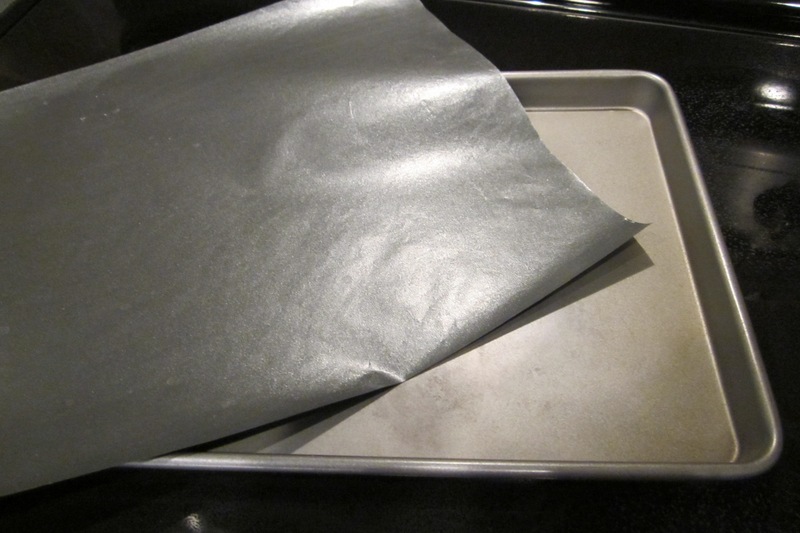 I like the Tephlon bakeware liners or tin foil. You want the liner to come up around the edges of the pan, so carmelized brown sugar does not get on your pan. That makes the clean-up very difficult. Pat each slice of bacon in the brown sugar on both sides. 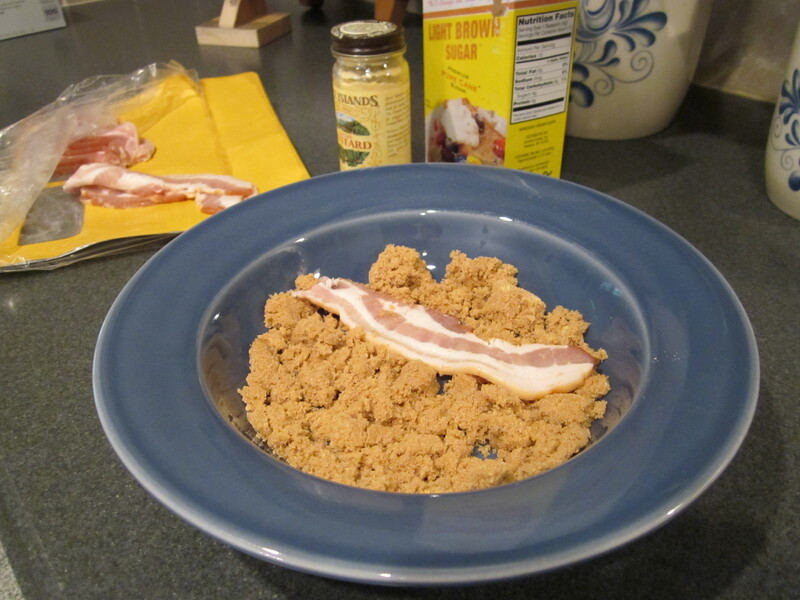 The bacon will NOT be thickly covered with the brown sugar. Place bacon slices side by side in the pan. Try not to let the edges touch. The bacon gets very sticky while cooking. Bake bacon for 10 minutes. Remove from the oven and turn slices over (tongs work best). 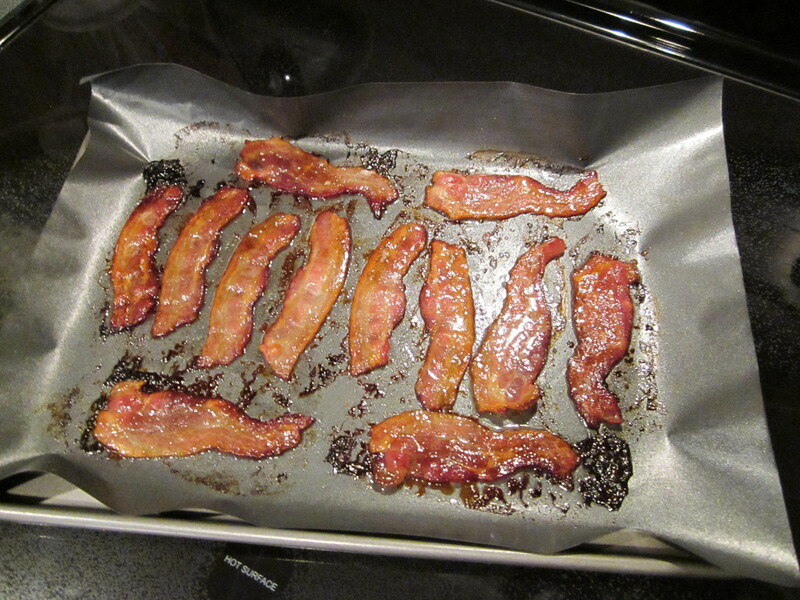 Put bacon back in the oven and cook another 5 minutes until browned and crispy. Watch carefully after the first 10 minutes of baking because the bacon changes from slightly undercooked to burned in a blink. 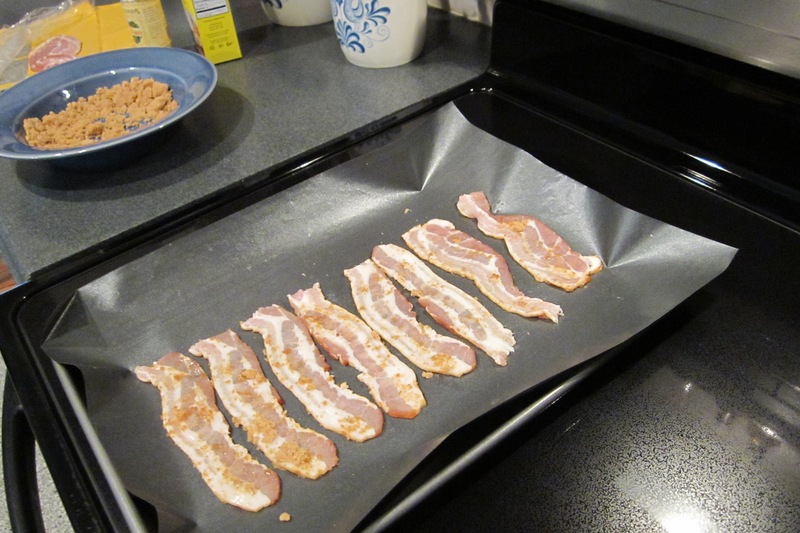 Remove the pan from oven and get the bacon slices off the pan immediately. 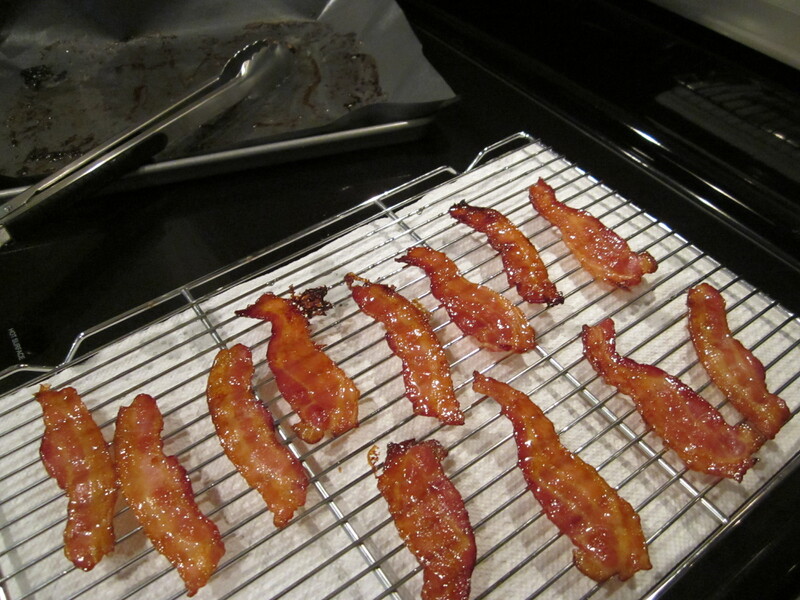 Lay the bacon slices flat on a cooling rack or a non-stick cookie sheet. I put paper towel under my cooling rack. Do not put the bacon directly on the paper towel! Let cool to room temperature before serving. I like regular Oscar Mayer original slice bacon. 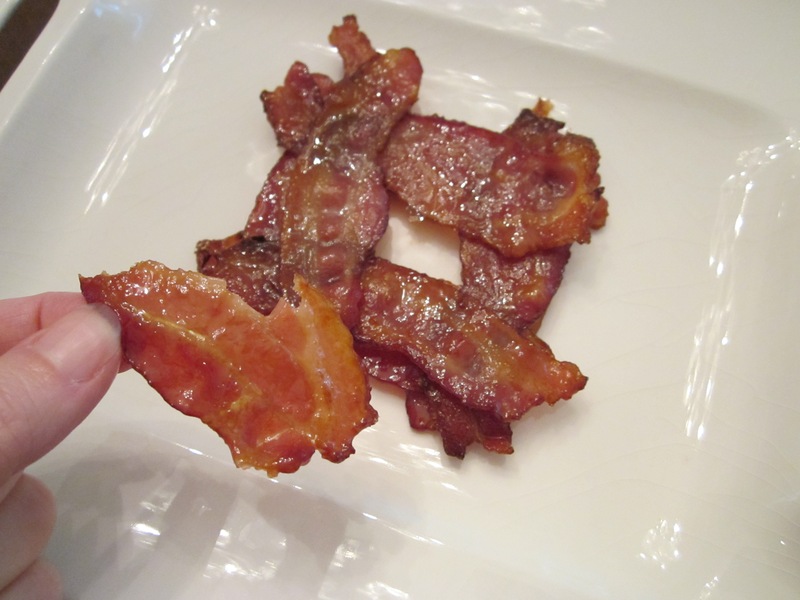 I have tried fancy bacon or a thicker cut, and the bacon does not crisp as well or get the good candy texture. These are great served at a brunch or party. 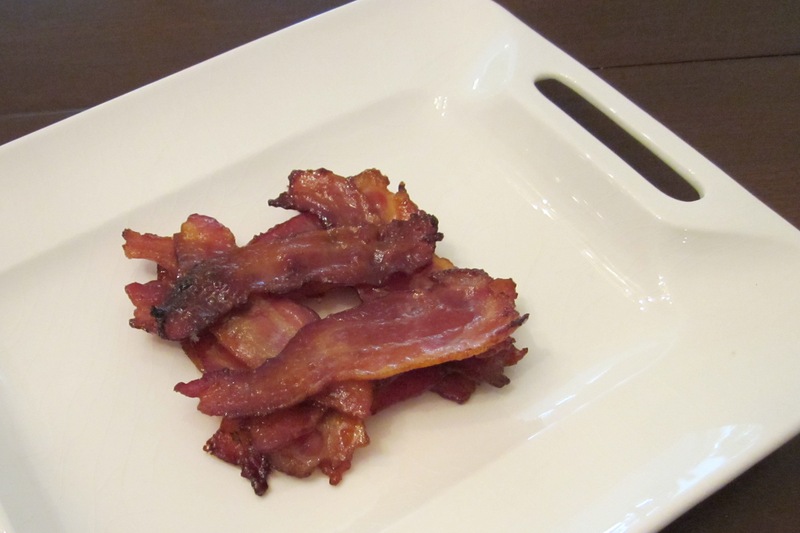 Stack the strips of bacon like Lincoln Logs on a serving plate. Serve as finger food.